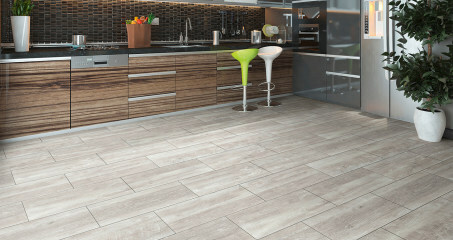 ATTRACTIVE CERAMIC TILES LOOK IN STONE AND WOOD OPTIC. Stone? Wood? Tiles? EUROHOME Essence! A beautifullaminate reproduction of masterfully laid ceramic tiles, combined with easy installation thanks to XL panels and our patented 1clic2go click system. Place in a grid or a staggered pattern to achieve your desired design effect – from the kitchen to the family room.